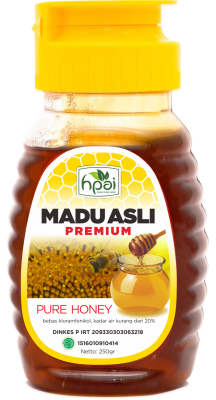 Honey is a food that contains a variety of nutrients such as protein, amino acid, carbohydrate, vitamins, minerals, dextrin, plant pigments and aromatic components. Honey also contains 11 essential amino acids that are not produced by the body. Recent studies indicate that the materials or compounds present in honey are very complex in the total of around 181 variations.